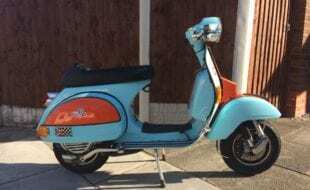 Stuart Owen invested two years plus of exhaustive time, meticulous research and extensively thorough cross-referencing to produce his first book, Lambretta Concessionaires, so was it worth the effort? 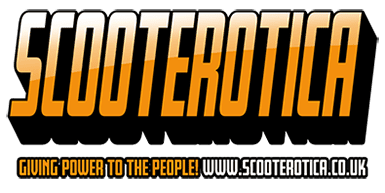 While there is much more information circulating about Lambretta scooters and machines now than there ever has been… the definitive story, from inception to conclusion, of Lambretta in the UK hasn’t been told in full until now. Stuart Owen’s book, is informative and enlightening as well as containing a few surprises too. Published by Scooterproducts in Weston¬super-Mare there are three elements contained in first print run copies, akin to the classic spaghetti western. 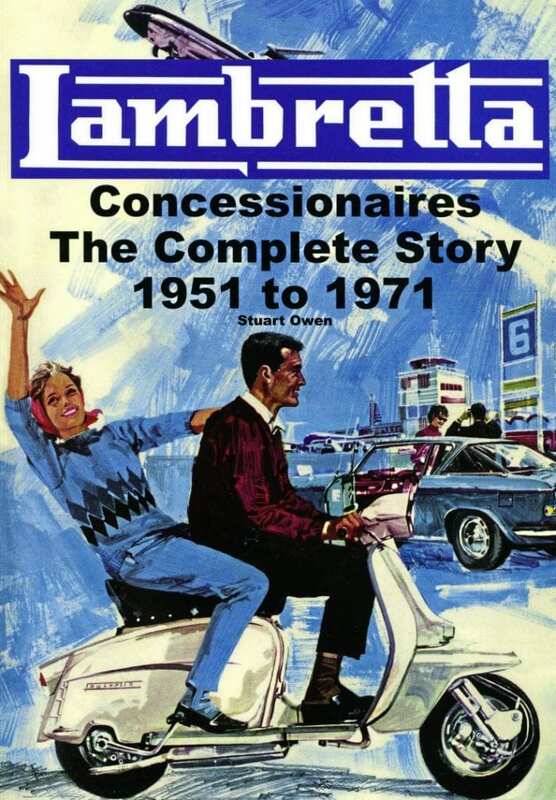 Lambretta Concessionaires is packed with in-depth text across all seven chapters. Accompanied by a veritable treasure trove of reproduced images; from advertising leaflets, through rare photographs to press releases, correspondence from and to Lambretta Concessionaires, and much more beside. 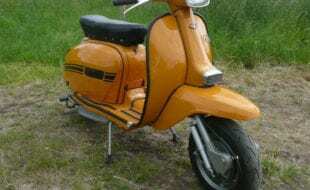 Taken together, it traces the rise, and the eventual unexpected demise, of Lambretta in the UK. It was driven by a father and son combination who succeeded in establishing what was, even viewed 45 plus years from the point when it ended, one of the best, if not the best motor industry business model anywhere. Needless to say, contained within the book are captivating insights regarding the UK-only Rallymaster, how the TV/GT 200 came into production and found its way onto the world markets. Another of the profusion of actual happenings relayed in this excellent book is the animated conversation between Peter Agg and Mike Kerslake regarding something he’d seen on a visit to the Milan Factory. 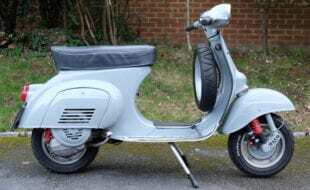 Peter Agg denied the existence of what was known as Project 137, while Mike Karslake was adamant and was proven entirely correct by a find in the 1980s which showed that there was a progression to prototype stage of a Lambretta twin 250cc engined machine. Content wise, Stuart’s book is hard, near impossible to fault. However, there is one gargantuan glaring error contained in the first print run copies. Probably the simplest way to flag it up is to borrow a record from the northern soul scene. Recently hitting well into four figures on British CBS with collectors is Chapter Five — You Can’t Mean It. 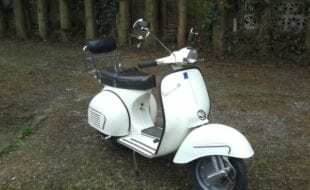 With one exception, (in the first column of the chapter), Lambretta Concessionaires’ throughout the text the word Lambretta appears as Lauretta! This is an error that any proofreader should have been able to spot and address and the fact that it has gone all the way through to print is very unfortunate indeed. That said, and having been lucky enough to know Mike Karslake, who was president of the Lambretta Club Great Britain during my 15-year stint on the club’s committee, Lauretta, especially with her twin cylinders, would’ve appealed to his sense of humour! 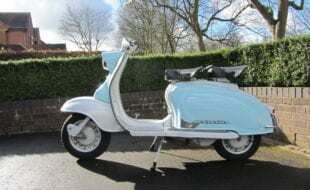 All but the most devoted Lambretta aficionados would agree that not every two-wheeled machine to roll off the Milan factory production line was a thing of beauty. 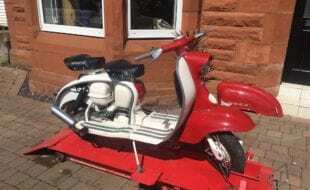 Nor was every model selected by the astute and highly successful Lambretta Concessionaires to import, for potential sale, to the British market. 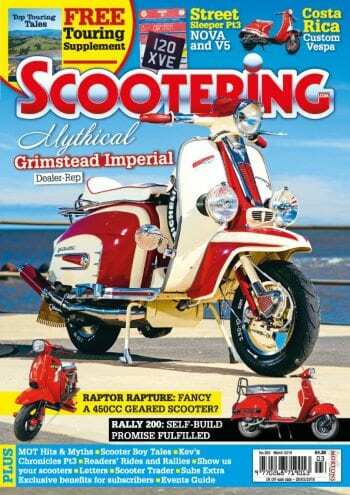 Both the Lambrettino and Ribot mopeds along with the entire ‘J’ series/ range for example. As for Peter Agg’s moustache in some of the archive pictures, some Football Association referees may view it as a sending off offence in its own right these days. Plus there are several adverts that in these PC times would be unthinkable. However back during those halcyon days they were deemed perfectly acceptable. 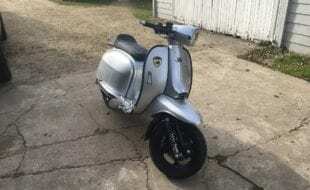 Concluding the Ugly content, BLMC’s financial controller, the man who erroneously took the decision to cease production of Lambretta scooters, is named. All of which is included. 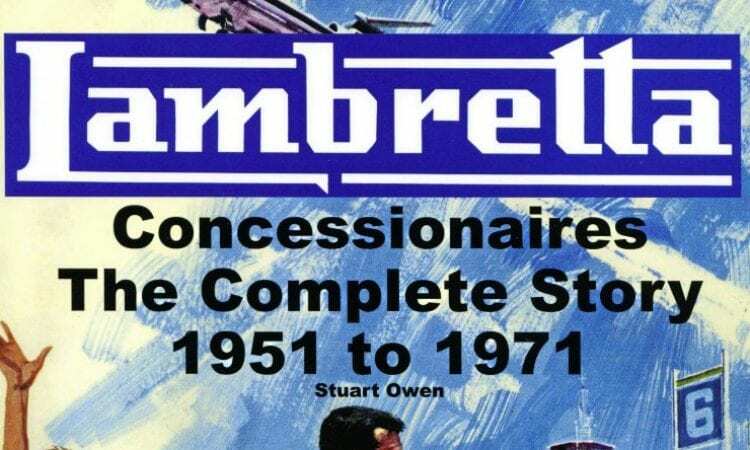 Stuart Owen’s book, Lambretta Concessionaires, The Complete Story 1951 to 1971, is a must-have for anyone with an interest in not only Lambrettas but any scooter. I’ve a feeling copies of the first print run editions, with the serious series of typos (over 50 times), will go on to be collectable in their own right. Besides, the vast majority of scooterists having a bit of a tendency to hoard, those who get the first edition will, in the main, also want a rectified and as it should have been to start with, edition of this unmissable book.